Sermons Layout 2 was designed to display your sermons in reverse chronological order (newest first). 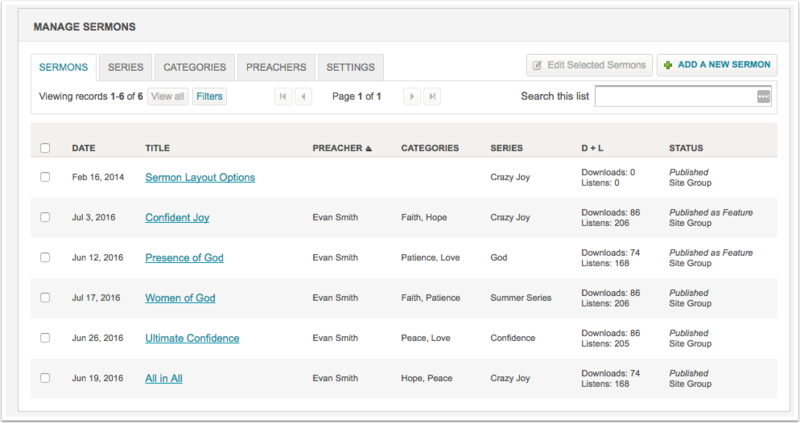 This page displays the Sermon images, date, titles, key passage & Categories in the larger left column, and then displays all of the filtering options in the right column. 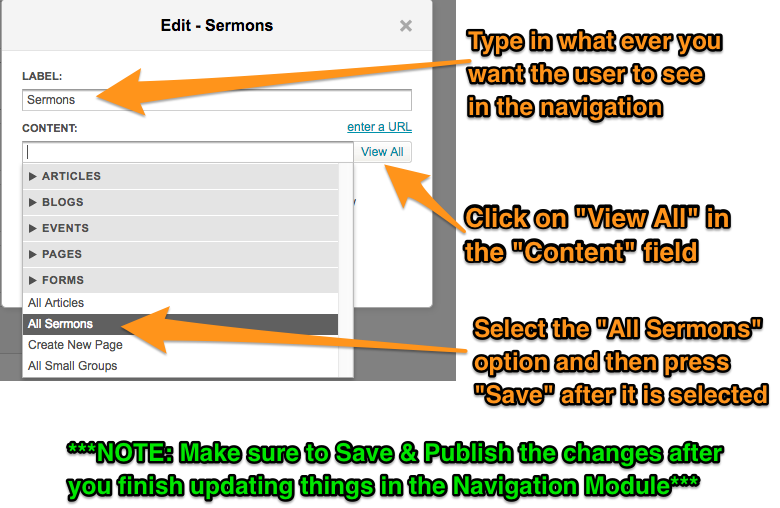 To create a new sermon select ADD A NEW SERMON. Detail: This is where you choose a title, categories, series, key passage, date, and preacher. This will sort the sermon into the right places and automatically show the passage. 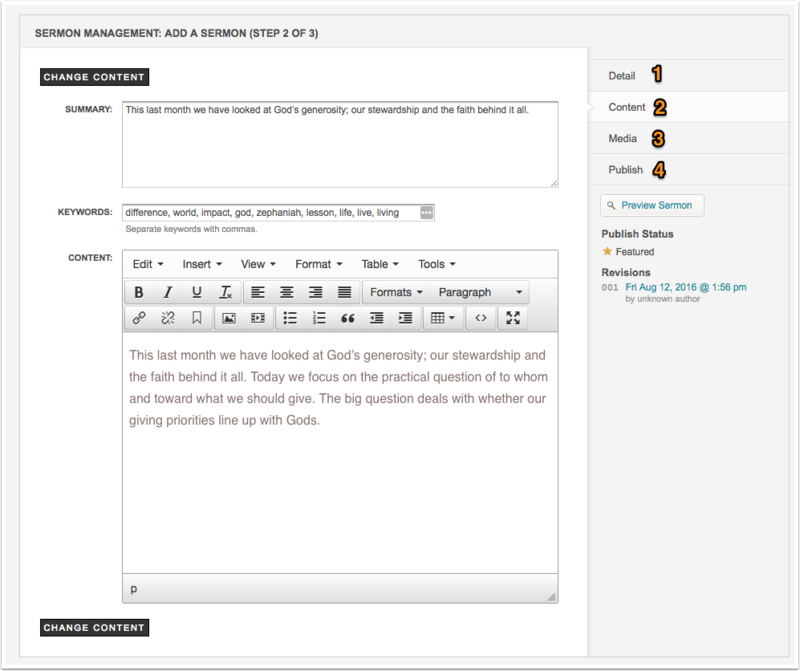 Content: Step two you will add a summary, keywords, and then the actual content of the sermon. Add Media: This is wehre you will be able to add audio, video, an image, or notes on your sermon. You can also embed a youtube video using the EMBED CODE tab. Using external link will only create a link to that page, not embed the video on the site. Publish gives you the option to post just to certain groups or the site (site group), and then also allows you to publish at a certain date and time. All Sermon & Series Images should be at least 484 pixels wide by 257 pixels high. Other image sizes can be used as long as they are the same ratio as the recommended size. 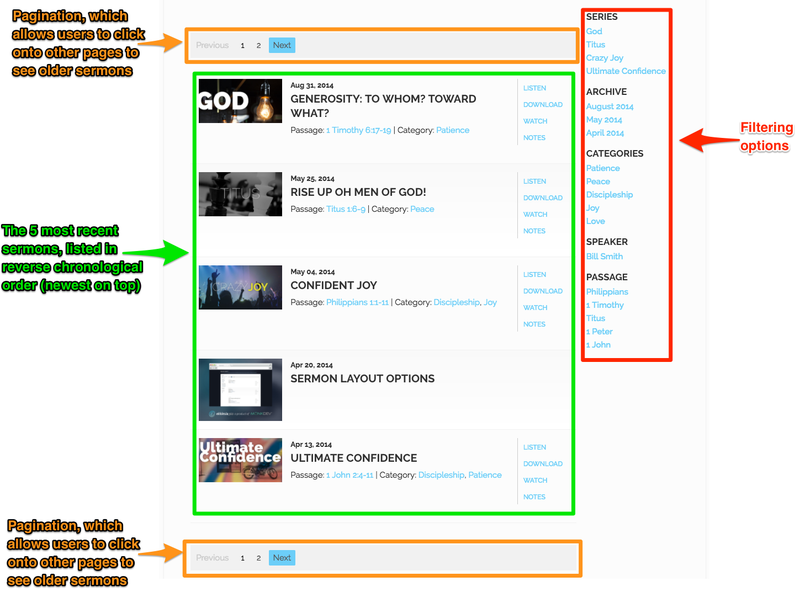 Each sermon has its' own detail page where all of the sermon information and media file links are located.